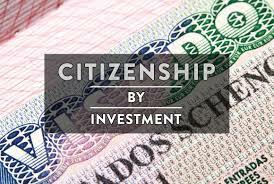 The Citizenship by Investment Program which is promoted by some Caribbean islands gets a pass mark by a US firm writes the Jamaican Observer, in its online column. The colunm states, “a New York-based financial advisory firm specializing in investment consulting and wealth management has defended the Citizenship by Investment Programmes (CIP) being undertaken by several Caribbean countries”. The story continues to state that reacting to the “Passports for Sale” program aired on CBS flagship “60 Minutes” program which was on January 1, 2016, the Apex Capital Partners Corp, said, “while 60 Minutes certainly featured concerns expressed over the years, most of the countries and services providers participating in these Citizenship by Investment Programs are doing so via a successful process that supports domestic growth as well as the individual citizen. “Our team witnesses it first-hand the extensive due diligence process, which involves background checks and interviews, while also conducting information exchanges within the international community, including numerous foreign governments,” pointed out Nuri Katz, the founder and president of Apex Capital Partners Corp. According the Jamaica Observer story, Katz in a statement said that “the programs we recommend are credible, best of breed program which rely upon maximum possible oversight”. He added that Apex Capital Partners Corp is an internationally recognized financial services firm that provides end-to-end execution in areas such as second citizenship, business immigration, wealth management, and real estate investment opportunities. The story also added that Katz said his company “interacts directly with many governments mentioned in the segment, including Antigua and Barbuda, Cyprus, St Lucia, Dominica, and St Kitts-Nevis on behalf of its clients. “Many of the countries APEX works with Katz outlined, provide citizenship that facilitates ease of travel, simplifies financial management, and offers a high quality of life, and that the television program had “incorrectly” claimed the industry was created by a service provider in the last decade. In fact, he said the industry was created in 1984 by St Kitts and Nevis, “when they launched the first Citizenship by Investment Program, which was then followed by Dominica with the launch of a similar programme in 1994”. Caribbean countries launched the CIP as a means of attracting foreign investments. The islands provided citizenship to these foreign investors on condition that they make a significant financial investment in the socio-economic development of the country that they choose.. Lately, on Dominica the island’s opposition leader came under fire by the country’s leader Prime Minister Roosevelt Skerrit Skerrit for comments made on the CBS 60 minutes programme. The prime minister said that Dominica had “invested millions of dollars and countless man hours marketing Dominica’s suitability as an ideal place in the Caribbean for persons to visit and do business, and with which high net worth individuals can associate with pride and accused the opposition leader of economic terrorism. Linton, speaking at a news conference on Friday said the opposition United Workers Party (UWP) supports the CI, but had some concerns. The Dominica Opposition Leader Linnox Linton speaking at a recent press conference of his party told reporters that “while we support it, we also know and are concerned that the program has been mismanaged and corrupted to become primarily a source of Labour Party election campaign financing and wealth creation for a select few people, while millions promised to national development”. Linton also claimed that there is a lack of accountability and transparency under the program in Dominica and pointed out that he is speaking to the media locally, regionally and internationally because complaints about a lack of accountability and transparency and the dangers of a CBI Programme without integrity to global security have fallen on the deaf ears of a stubborn… government,” he added. “Dominica, thirdly, has a moral obligation to responsible behaviour for the advancement of global civilization. It has absolutely no right to engage in behaviours that endanger the security of other countries on the excuse that such behaviour is driven my economic necessities,” the online column quoting Linton as stating. In the statement, the New York-based financial group said that during the CBS program “an individual named Peter Vincent raises significant questions surrounding due diligence for countries mentioned in the segment, while curiously omitting that his present employer, Thomson Reuters, is actually a due diligence services provider, commercially competing to be hired by those countries that have Citizenship by Investment Programmes”. “Unfortunately, his role and clear conflict of interest in participating in the segment is not mentioned by the journalists or its producers,” Katz said, noting that APEX applauds 60 Minutes for the focus it has placed on CIP and that due diligence is “of the utmost importance to these programmes. “APEX looks forward to the positive economic support these programmes have for countries around the world, their respective citizens, and the future growth of the industry,” he said. Credit to the: Jamaica Observer, contribution to this story.